Look, blaming Singer is plain unfair; you should never begrudge someone the chance to accept a promotion, and I don’t care what you say, X-Men is not on the same level as Superman. Yeah, I said it…He wanted to move on to what appeared to be a great opportunity. Sadly, it didn’t really work out for either franchise. Still, this should have been a slam dunk. 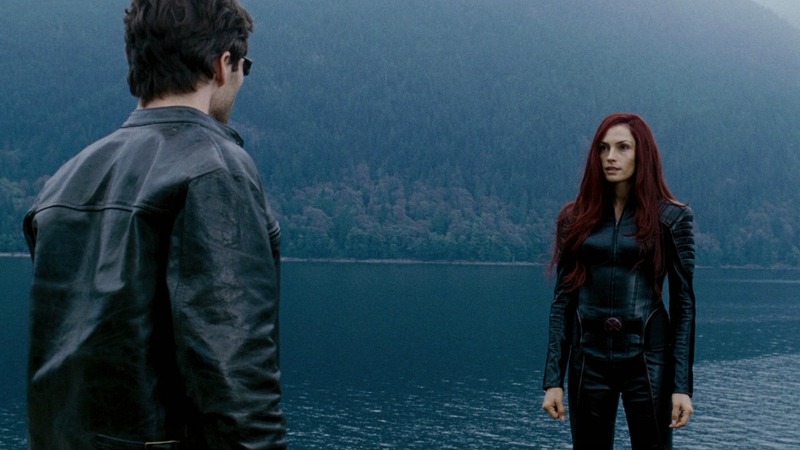 While Singer hadn’t planned out the storyline for the third film, the ending of X2 all but ensured we were headed into Dark Phoenix territory, so the story should have written itself. So they have the raw materials: a Claremont Classic (mixed in with a Whedon story arc), the same cast, and pots of money. Search for a new director; directors who turned down the job included Darren Aronofsky, Joss Whedon, Alex Proyas & Zack Snyder. They hired director Matthew Vaughn, but he left the film. Sinking feeling intensifies. They replaced him with Brett Ratner. And we’re sunk. I know that is unfair to Ratner. I don’t really know why he is so reviled. He seems like a perfectly average director – nothing to write home about, sure, but not incompetent. I suppose it has more to do with the feeling that an A-list director was replaced with a utility infielder. So, after that long introduction, how is X-Men 3? Not bad, really. At times it’s excellent. The storyline(s): both the Dark Phoenix and the Cure arcs are great stuff and welcome. Cinematographer Newton Thomas Sigel is an artist – he left after X2 (Singer brought him over to Superman Returns; seeing a trend here?) He is replaced by Dante Spinotti, who is certainly talented, but I think he was given confusing direction here. It doesn’t help that he himself is a replacement for Philippe Rousselot, who left during shooting. Spinotti then had to leave the project before the end of photography, so J. Michael Muro completed it. See what I mean about the confusing look of the film? Where the hell did Rogue go? Was Anna Paquin double-parked or something? She was in this movie for seemingly seconds. Considering how much these movies obsess over “Best Actress” Berry, you’d think they’d recall that Paquin actually earned her Oscar and utilize her as much as humanly possible. As a love interest she is replaced with Ellen Page as Kitty Pryde/Shadowcat. That’s the third Kitty actress in three movies. Page is really not bad, I’m just including her here because the character is simply not as interesting as Rogue. Singer took James Marsden with him, so Cyclops is relegated to a small role, barely more than a cameo. Guess they shouldn’t have cut all his scenes in X2, huh? Um, every single new mutant. Juggernaut is a dumb character, so I guess we can’t fault the fun Vinnie Jones for that. But what pop band did they raid for the rest of these people? When I see characters/actors this bad in a movie I usually assume they are rappers, even if they aren’t. Callisto, Psylocke, Arclight & Kid Omega (I had to look these up; they deservedly don’t even get named in the film) look like a multi-gendered, multi-cultural boy band; you know, during the “edgy” part of their career. Also, it’s just sad that they always have to struggle with the problem of how to let Wolverine slash his way through lots of people without actually killing anyone important. In the previous movies they could always pull in nameless, faceless soldiers. But here in the forest, there’s nothing but mutants. Yet they seemingly have no powers unless looking non-descript and getting gutted without putting up a fight is some new mutation. They only gave him one guy with powers to actually fight (Spike). Why couldn’t he have killed some of the hair gel squad? Why is Nightcrawler not in this movie? 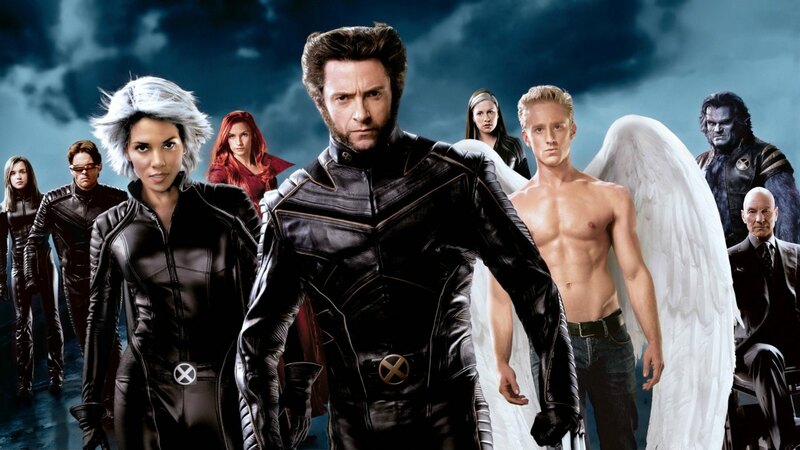 Plot When a cure is found to treat mutations, lines are drawn amongst the X-Men, led by Professor Charles Xavier, and the Brotherhood, a band of powerful mutants organized under Xavier’s former ally, Magneto.